BROOKFIELD, Wis. & NEW YORK–(BUSINESS WIRE)–Jan. 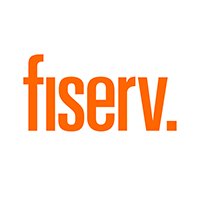 16, 2019– Fiserv (NASDAQ: FISV) and First Data Corporation (NYSE: FDC) today announced that their boards of directors have unanimously approved a definitive merger agreement under which Fiserv will acquire First Data in an all-stock transaction. The transaction unites two premier companies to create one of the world’s leading payments and financial technology providers, and an enhanced value proposition for its clients.